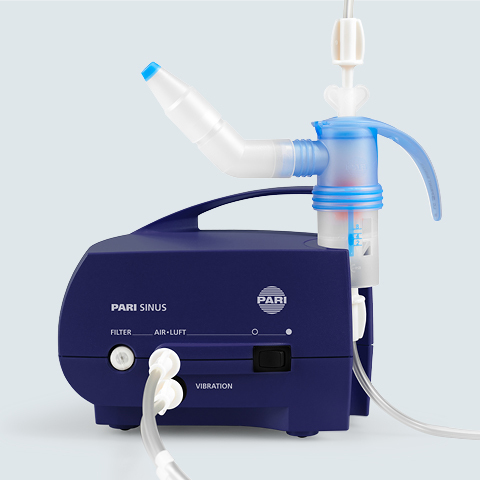 The nebulisers of the PARI LC SPRINT family are tailored to the individual therapeutic requirements of the nose, nasal sinuses, throat, pharynx and lungs. 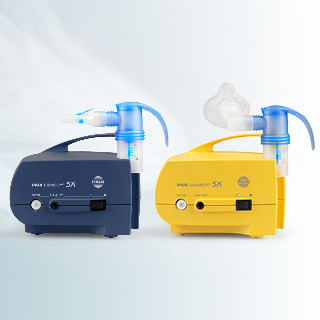 Choose the right PARI LC SPRINT Nebuliser for yourself based on the age of the patient and the site of action. 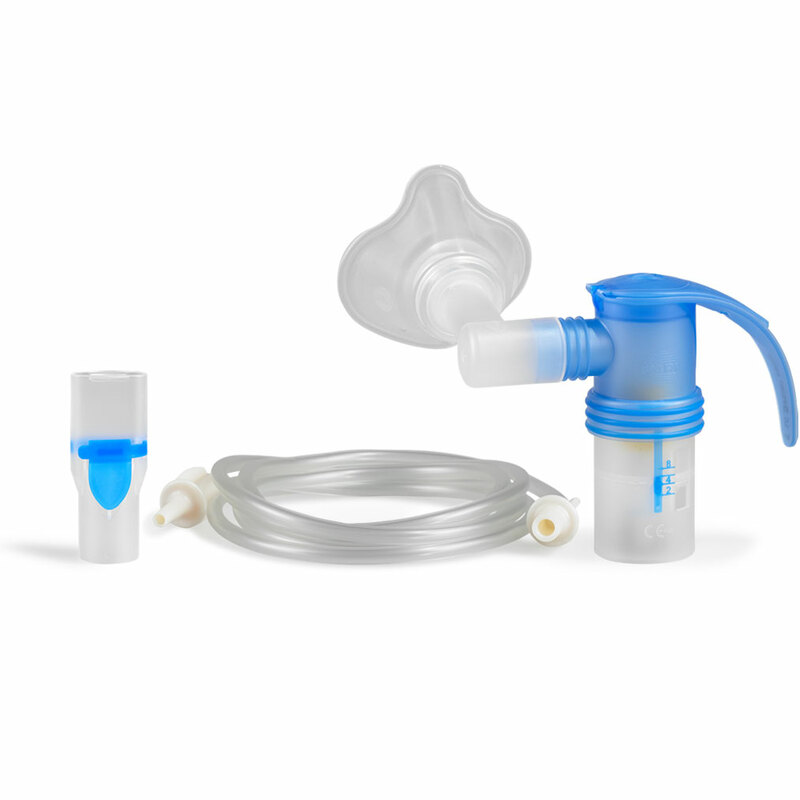 The nebulisers from the PARI LC SPRINT family are fitted with different nozzle attachments in a range of colours which generate different droplet sizes. For children and adults for the treatment of the nasal sinuses. 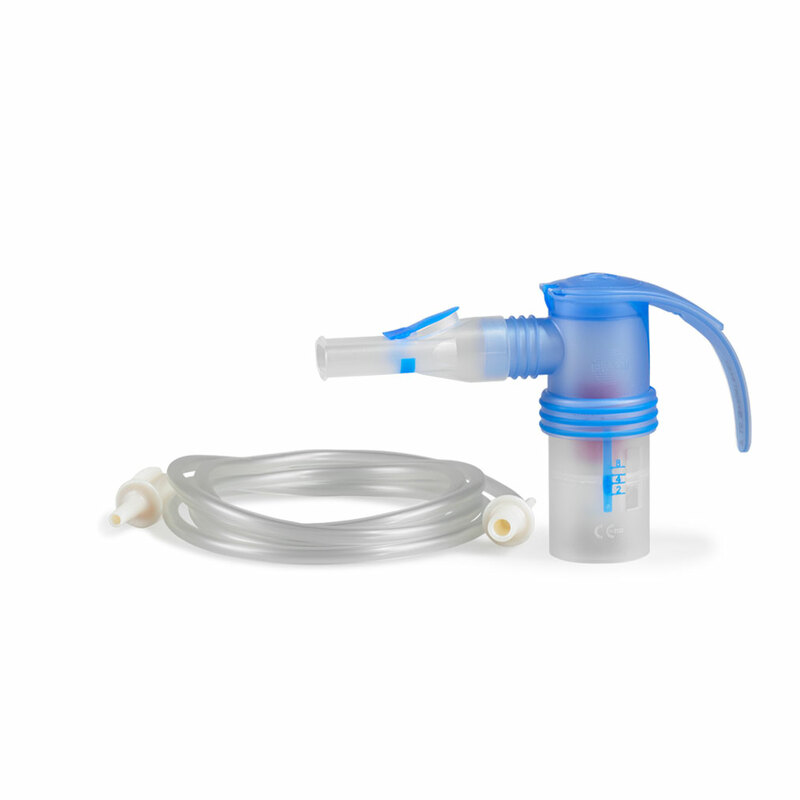 PARI LC SPRINT SINUS Nebuliser (orange nozzle attachment) with bend (45 degrees), vibration connection, nasal joining piece and nasal plug. For children and adults for the treatment of throat and pharynx. 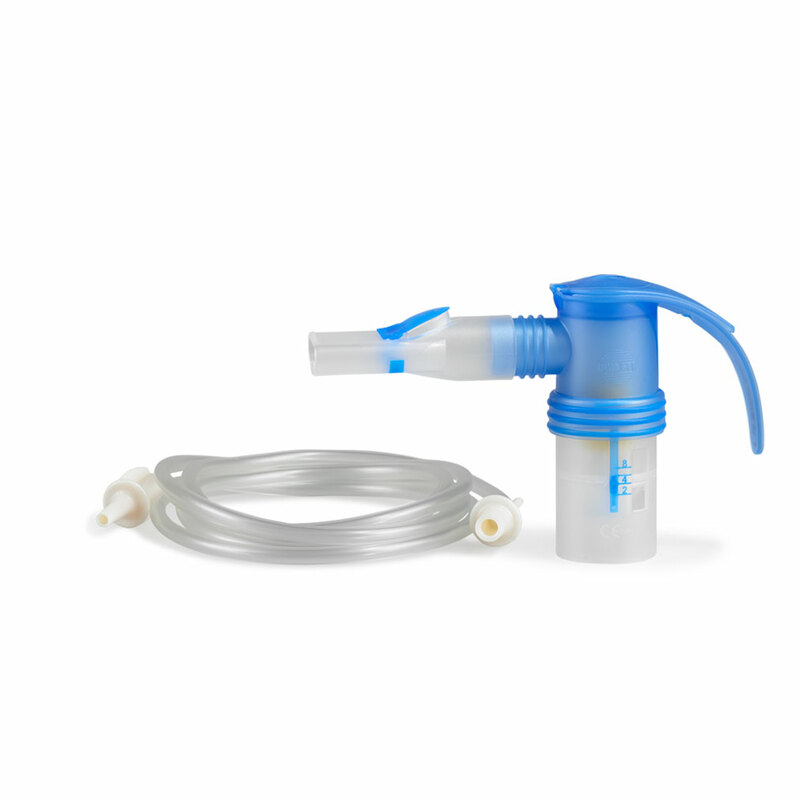 PARI LC SPRINT XLent Nebuliser (transparent nozzle attachment), connection tubing including adapter. PARI LC SPRINT XLent Nebuliser in combination with PARI BOY SX Kompressor. For premature babies for the treatment of the airways. Jet nebuliser (red nozzle attachment), BABY Mask Size 0 and freely rotatable BABY bend, connection tubing. For babies and small children 0-1 years of age for the treatment of the airways. Jet nebuliser (red nozzle attachment), BABY Mask Size 1 and freely rotatable BABY bend, connection tubing. For babies and small children 1-3 years of age for the treatment of the airways. 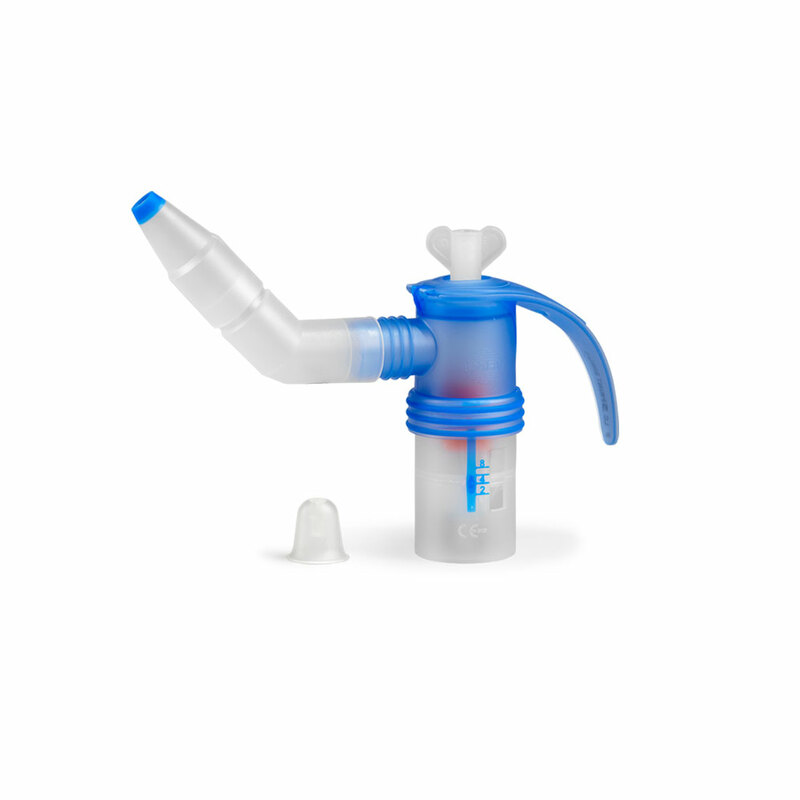 Jet nebuliser (red nozzle attachment), BABY Mask Size 2 and freely rotatable BABY bend, connection tubing. For children from 3 years of age for the treatment of the airways. Configuration Jet nebuliser (yellow nozzle attachment) with valve system, universal mouthpiece, and connection tubing. For children and adults for the treatment of the deep airways. 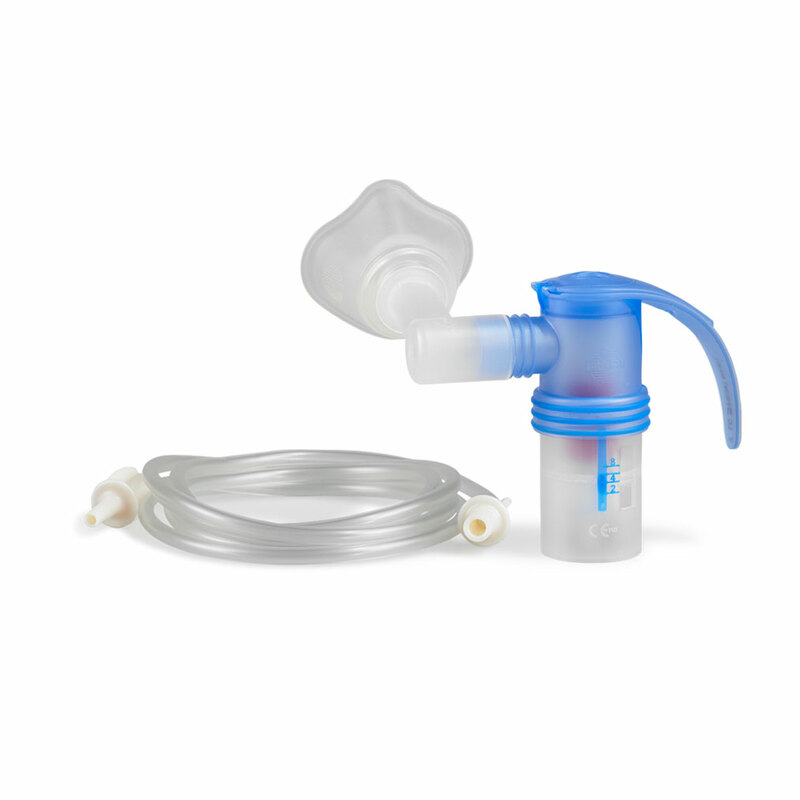 Fine droplet nebuliser (red nozzle attachment) with PIF control, universal mouthpiece and connection tubing. For tracheotomised children and adults for the treatment of the airways. 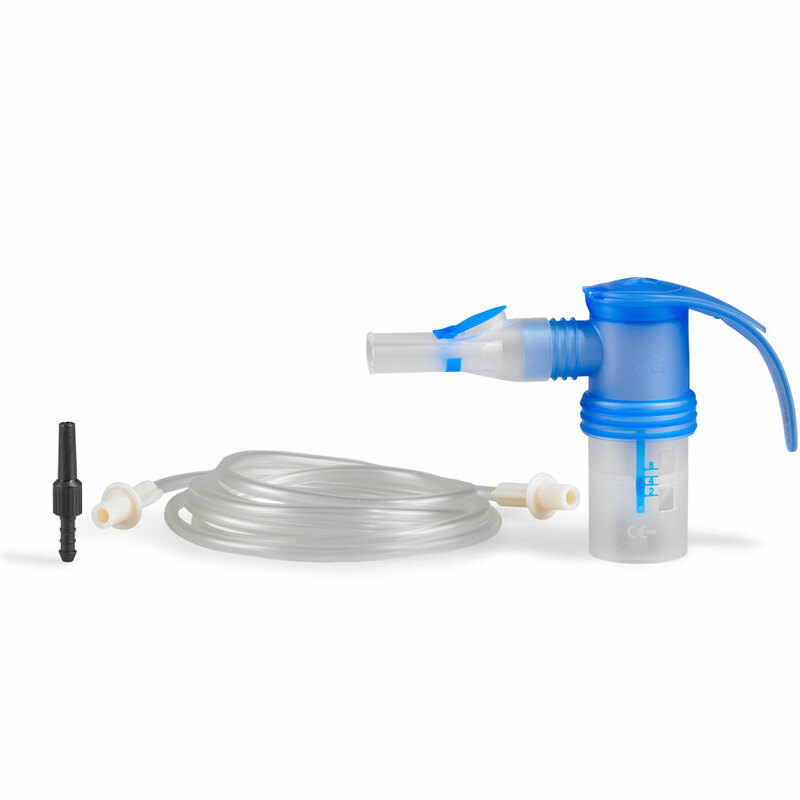 Nozzle nebuliser (blue nozzle attachment) with valve system, LC tracheal adapter, and connection tubing. For babies from birth and children up to 4 years of age for the treatment of the airways. 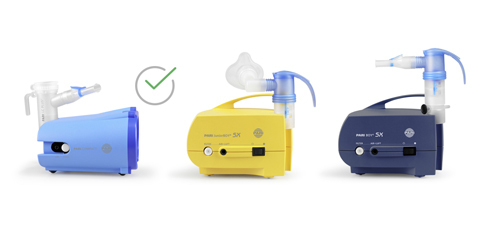 PARI LC SPRINT Junior Nebuliser (yellow nozzle attachment), BABY Bend, BABY Mask size 2, universal mouthpiece and connection tubing. Measurement with the Malvern Mastersizer X at 23° C, 50% relative humidity, nebulised medium: 0.9% NaCl (5 ml). Subject to technical changes. 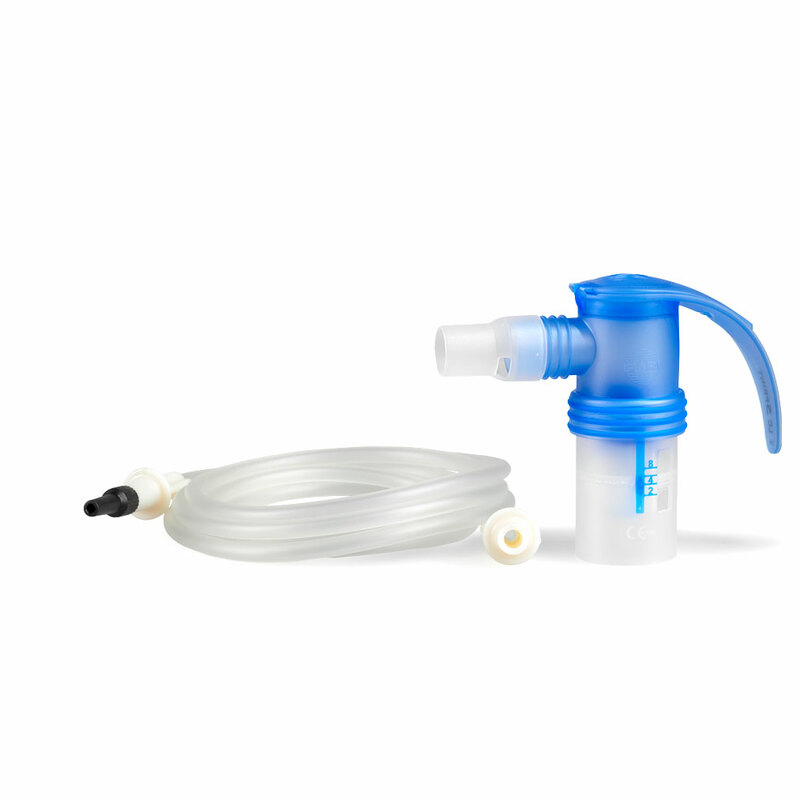 For the PARI LC SPRINT Nebuliser, PARI LC SPRINT STAR Nebuliser, PARI LC SPRINT Tracheo with PARI CENTRAL (pressurised air source 1.6 bar), measured with an adult inspiratory flow of 20 L/min. 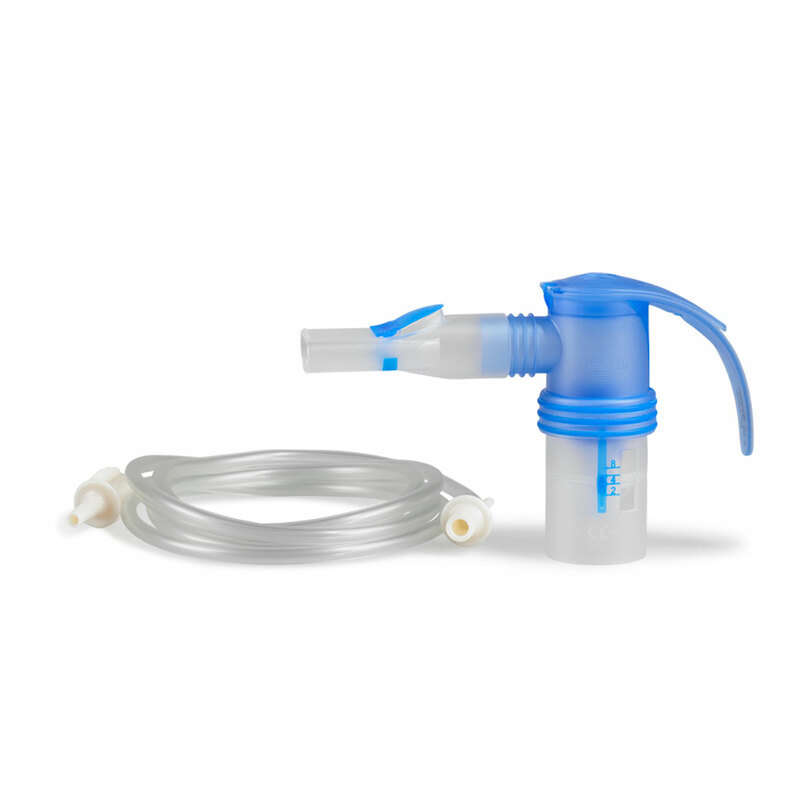 For the PARI LC SPRINT BABY Nebuliser (0-3) measured with an infant inspiratory flow of 6 L/min. For the PARI LC SPRINT Junior Nebuliser and the PARI LC SPRINT Junior Package measured with a child inspiratory flow of 12 L/min. For the PARI LC SPRINT Sinus Nebuliser Measurement with the Malvern Spraytec at 23° C, 50% relative humidity. Nebulised medium: 0.9% NaCl (5 ml), jet flow 4.6 L/min. 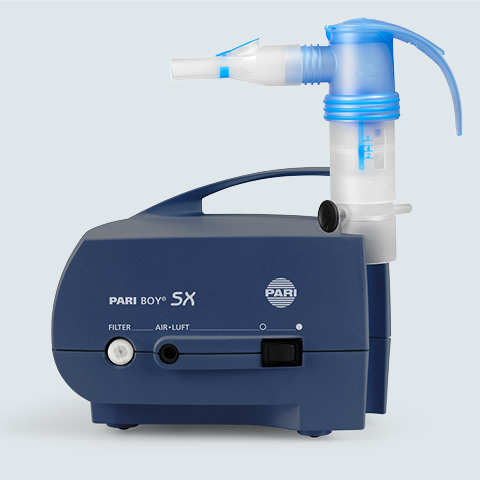 For the PARI LC SPRINT Xlent Nebuliser Measurement with the Malvern Spraytec at 23° C, 50% relative humidity, nebulised medium: 0.9 % NaCl (6 ml), inspiratory flow of 20 L/min. You can get all replacement parts directly from our respective local PARI representative. What is PARI PIF Control? PARI has developed a breath-sensing feedback system - the PIF Control System. 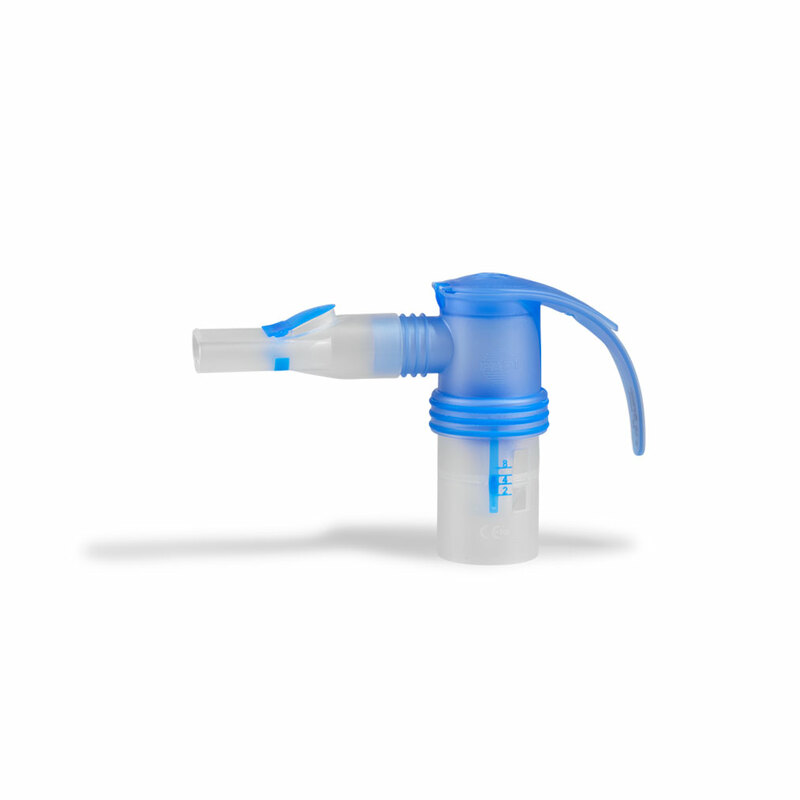 In the event of too rapid inhalation, the inspiratory valve shim closes the nebuliser chamber to a small opening. You feel this as resistance - a sign to breathe out and inhale more slowly with the next breath. Until no more resistance can be felt. May only be used with the nebuliser PARI LC SPRINT SINUS (023G2800) and with the PARI LC SPRINT SINUS Year Pack (023G2860), 45-degree bend, nasal joining piece, vibration connection, nasal plug.